The recent push for environmentally-friendly infrastructure has impacted the roofing industry with the implementation of green roof structures. 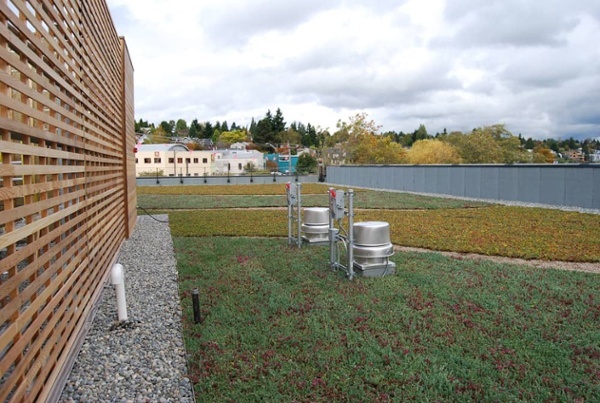 Aside from the sustainability and environmental advantages of this roofing system, green roof products aid in water retention efforts, especially in older cities, by preventing runoff from infiltrating a sewer system at a dangerous rate and increasing overflow. 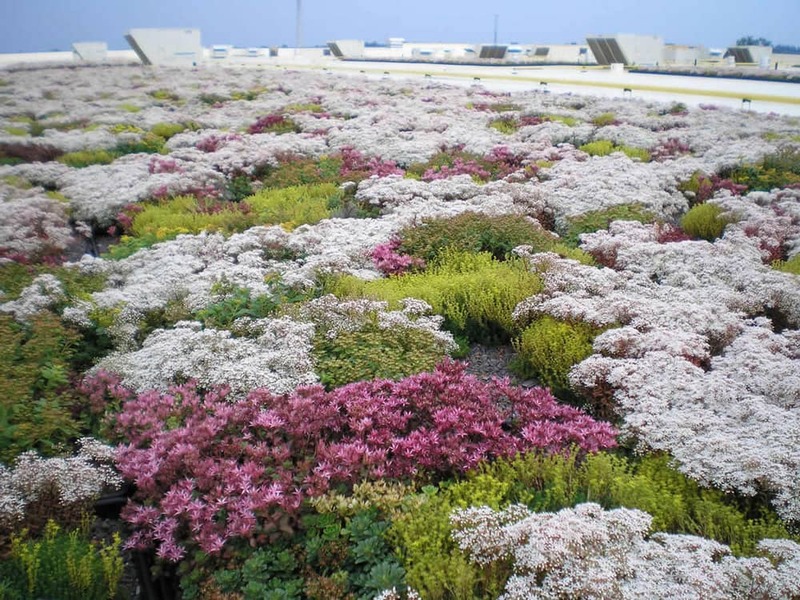 Sustainable FiberTite green roof installations are a popular choice among environmentally-conscious roofing specifiers, providing a beautiful look and tremendous environmental benefits. 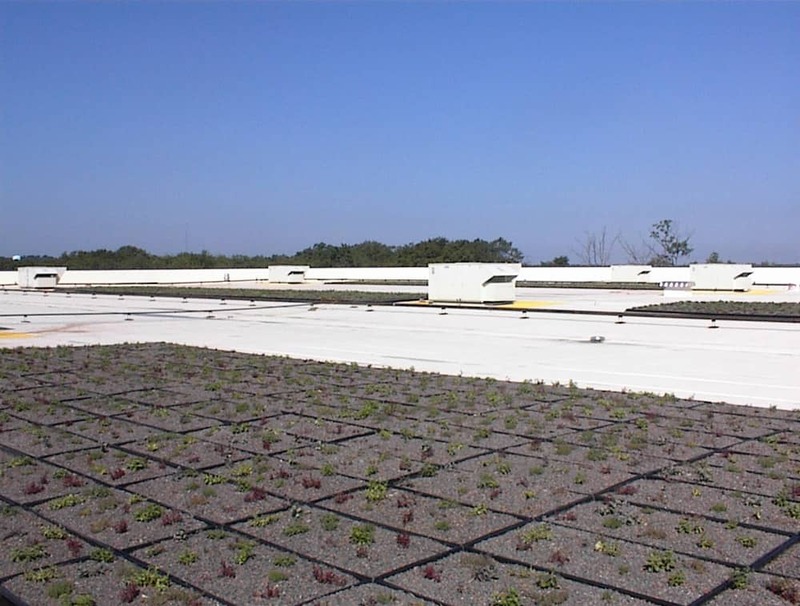 Contact us to learn more about energy-efficient roofing. 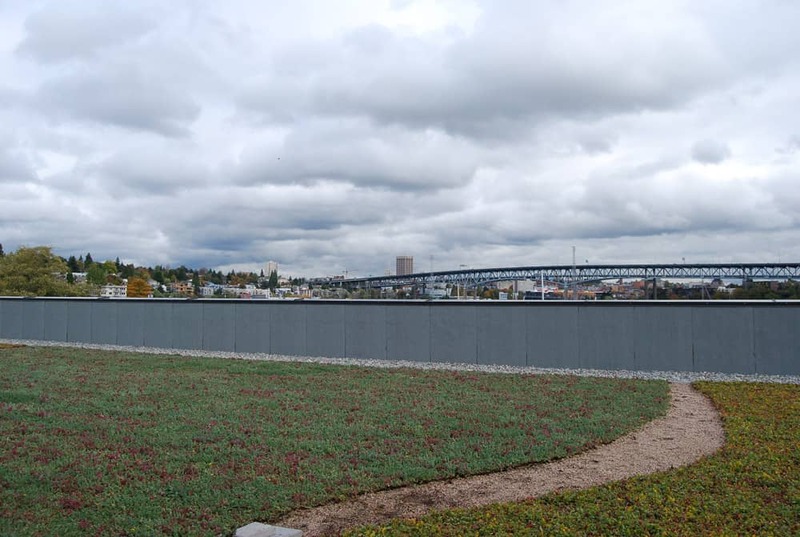 A rooftop garden can retain as much as 70 percent of rainfall, decreasing the risk of flooding and eliminating sewer and wastewater overflows. 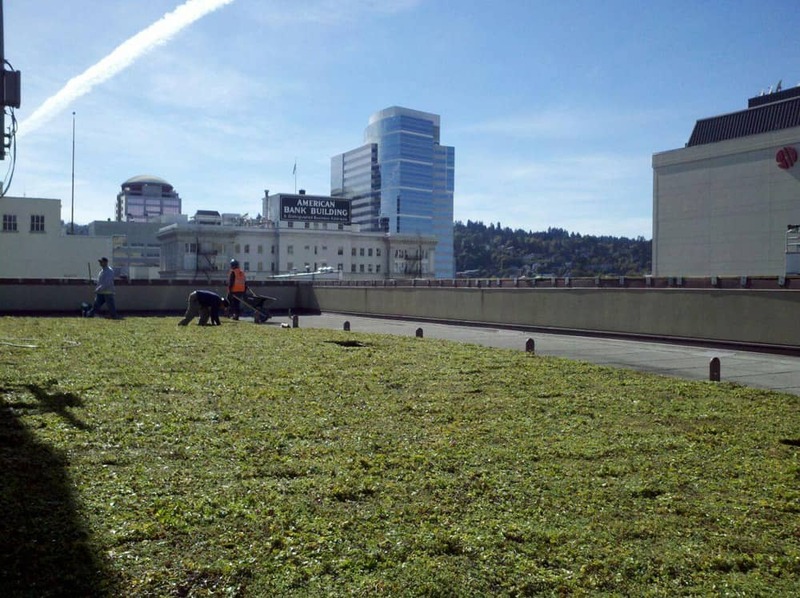 Rooftop gardens re-oxygenate the air while removing harmful toxins and pollutants. 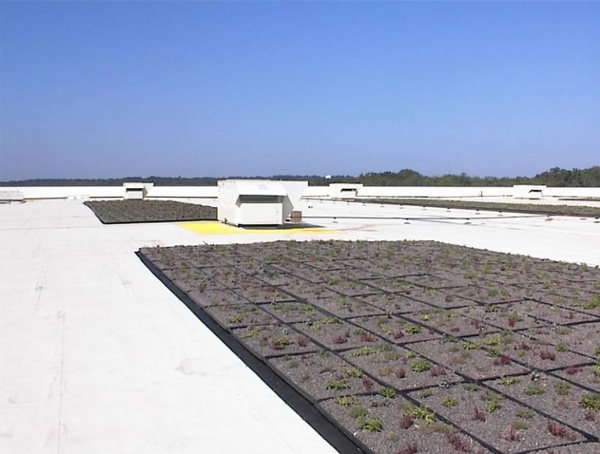 Unlike dark color roofs, which retain heat, roof vegetation naturally dissipates heat and lowers city temperatures. Green Roofs provide thermal insulation, cutting down on utility costs. Green roof installations extend the life of the waterproofing membrane by protecting it from exposure to weathering elements. 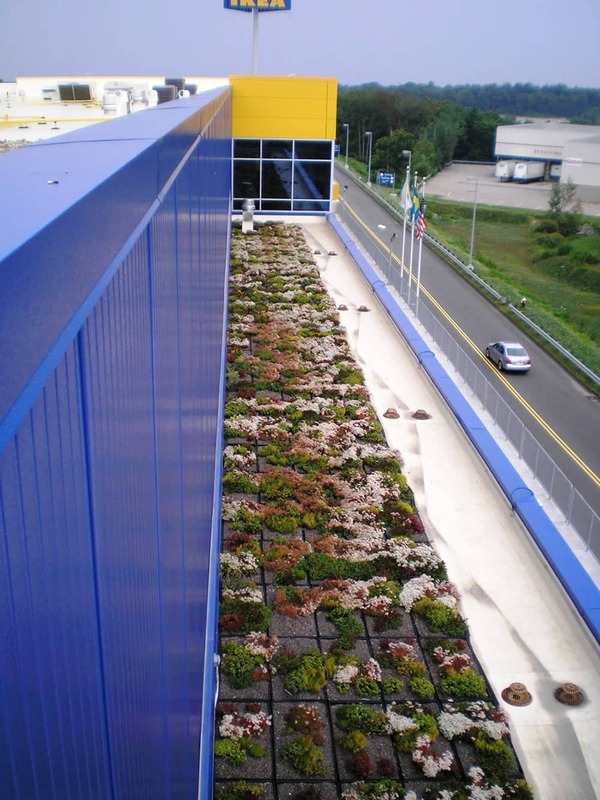 Green Roofs absorb sound, creating a natural noise barrier. 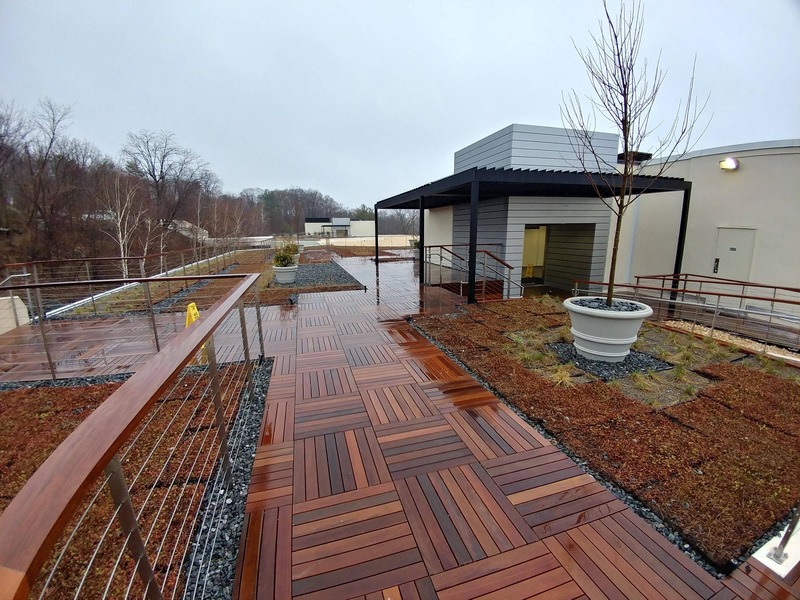 Rooftop gardens extend the useful area of the building. Request a sample to see for yourself why FiberTite is the industry leading single-ply, KEE roofing membrane. 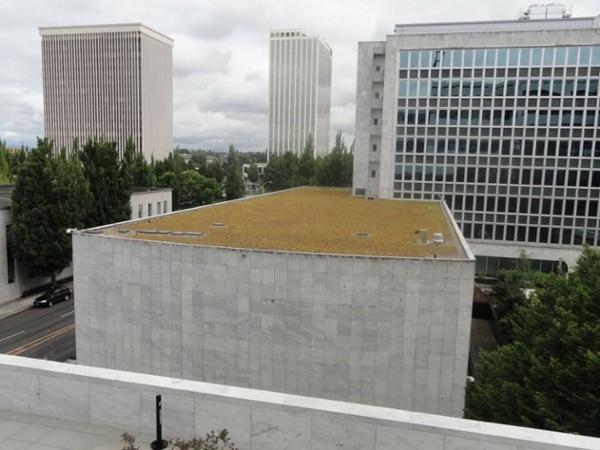 Office building green roof. 50 mil FiberTite-XT with garden areas and pavers. Green roofs are a great choice for customers and a sustainable option that betters our world. 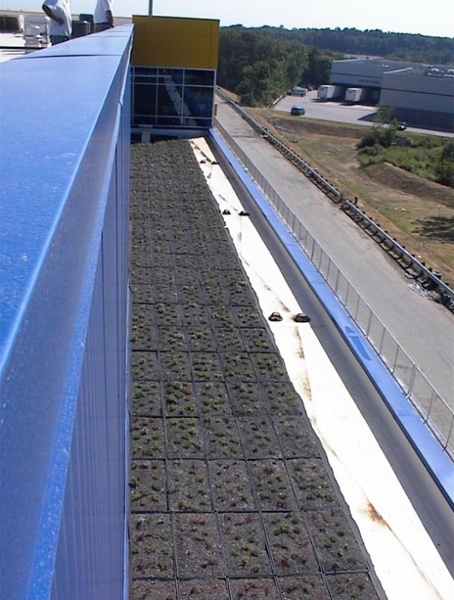 FiberTite's vegetative roof technology is based on sustainable functions that help manage stormwater, energy use and pollution. Energy-efficient roofing is growing in popularity across the world thanks to its ability to manage environmental challenges. Contact us to learn more about our energy-saving roofing systems, as well as our other systems.